Actress Cristine Reyes and husband Ali Khatibi already opened their doors to the country’s favorite morning momshies last Tuesday (Mar 28) and showed them their favorite spots in their home. The two also shared what they discovered about each other now that they are living under the same roof. 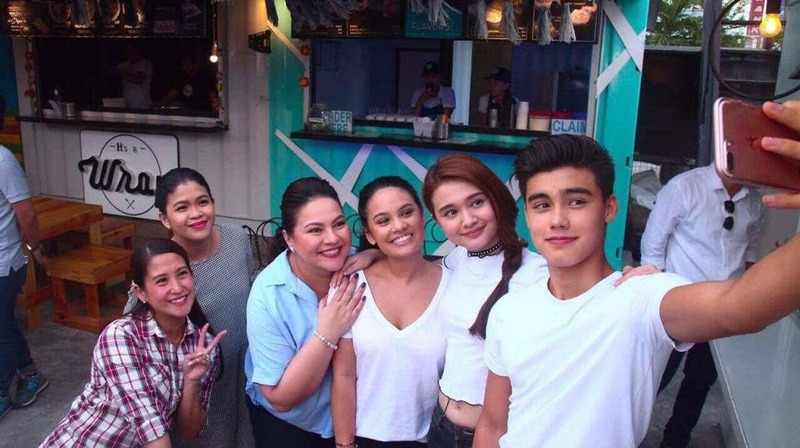 Meanwhile, the momshies are also set to have a food trip and archery bonding with celebrity teens Leila Alcasid, Bailey May, and Kira Bainger on Thursday (Mar 30) and invade the home of momshie Jolina this Friday (Mar 31). Keep watching “Magandang Buhay,” Mondays to Fridays, 8 AM on ABS-CBN or ABS-CBN HD (SkyCable ch 167). Watch also for the latest episodes free on iwantv.com.ph or skyondemand.com.ph for Sky subscribers. For updates, follow @_magandangbuhay on Twitter and Instagram or like the official Facebook page at www.facebook.com/OfficialMagandangBuhay.